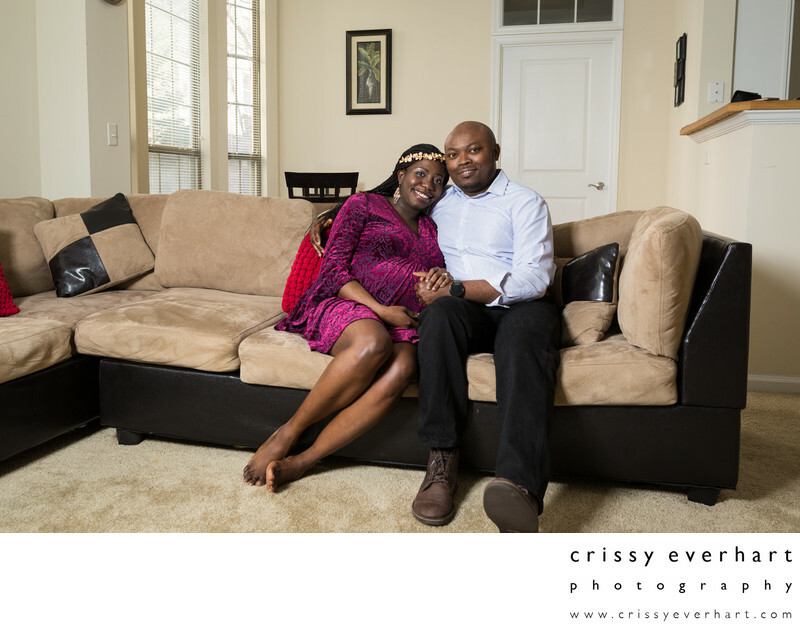 Portrait of a lovely Nigerian couple in their home in Philadelphia. The mom to be wears a pink dress and gold hairpiece, and has her hand on her belly. Her husband holds her hand and leans in close, and they both smile at the camera. They're warm together on their sofa before heading out into the winter weather for photos on Kelly Drive.